Blog Quick Quotes: Welcome to Connie Mercer! We are so excited to begin to introduce to you some of our new members of the 2015 Design Team! I am a wife and a mom. I am also “Nini” to six beautiful “grands”. I have been scrapbooking for over fourteen years and I know I will never tire of it. I hope to never lose the thrill of pretty paper and vintage goodies! I live on a ranch in the Texas hill country with my hubby and all of our deer, cows and armadillos. Most of my inspiration comes from the “grands”, but also from the wonder of nature that surrounds me every day. Living on a ranch has enabled me to capture unique photos that I am able to share with my family and friends. I also love to go junkin', so you never know what I will come up with when I find cool old stuff.. I am so excited to be working with Quick Quotes!!! I am so excited to share with you my first project for Quick Quotes. I'm so excited to be sharing with you a decor piece, using the Quick Quotes Family Bundle as my inspiration. 1. Cover wood block (5 x 7) with the Celebrate paper. 2. Ink around all edges with Coal Miner PowderPuff Chalk Ink. 3. Double mat the quote card found in the Quotes Bundle - Family. 4. Ink around the edges with Coal Miner PowderPuff Chalk Ink. 5. Ink the date frame (Frames - Bag o' Chips) with Coal Miner PowderPuff Chalk Ink also. 6. Cluster Patina Metal Embellishments next to date frame. 7. Adhere all embellishment to frame. 8. Add spool knob to top for decoration. 9. Use a stick pin to add photo strip. Products used can all be found in the Quick Quotes store. 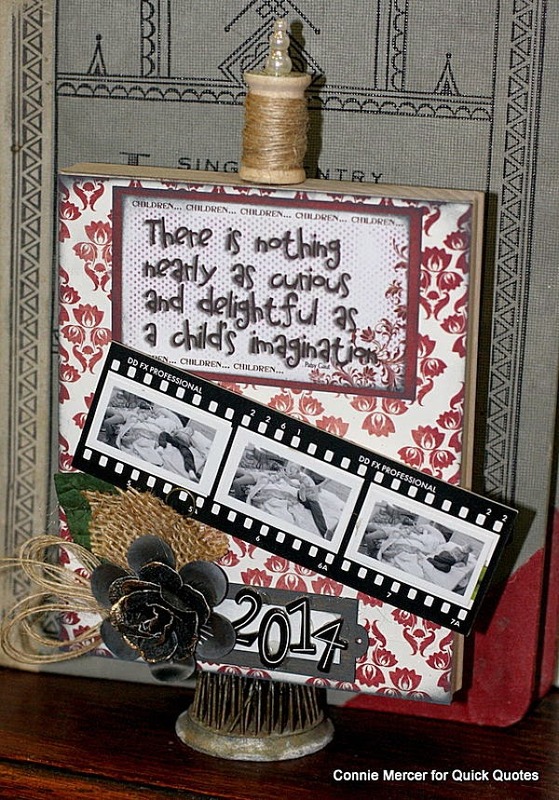 Welcome Connie, I love this frame, especially how you did the filmstrip! Congrats Connie! I know you will be an awesome addition to this team. ..Love this LO! Congrats Connie!! You are gonna rock this!!! 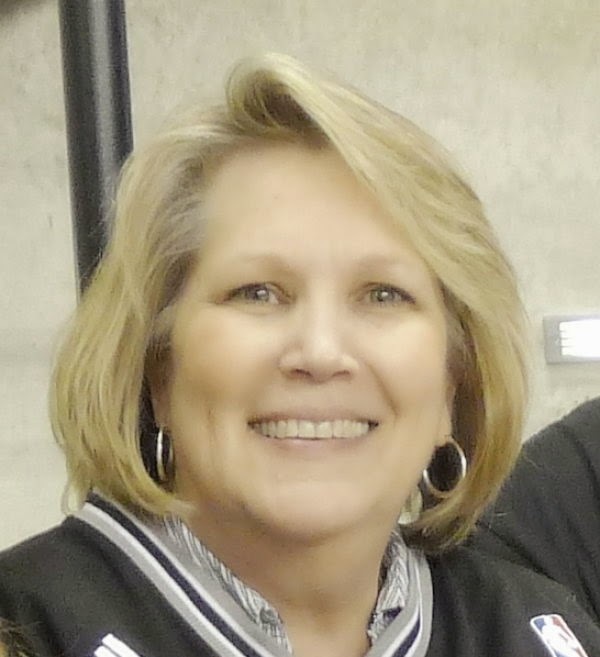 Welcome aboard Connie! We are so excited to have you join us!!! Love your pretty project today too! Connie, I am so very proud for you. You will be such an asset to this company as they will soon discover. I love what you create with your hands, your mind and your heart! I absolutely love your work! adorable project Connie! I can't wait to see the rest!